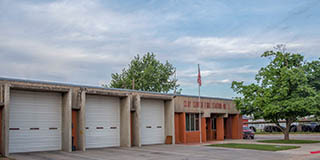 The Clay Center Fire Department is an ISO Class 3 Combination Department consisting of 7 full-time members and 16 volunteer members, with John Ihnen serving as Fire Chief. 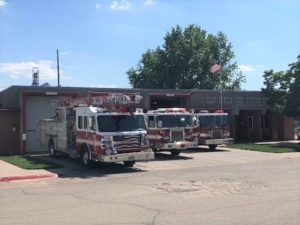 Full-time employees include: Assistant Chief, Jonathan Ratliff; Captain, Eric Davis; Firefighter, Rodney Althiser; Firefighter, Howard VanDyke, Firefighter, James Gordon and Firefighter, Dustin Jensen. The department also has an explorer’s program with 4 to 8 explorers. Full-time firefighters are on a 24/48 schedule consisting of 3 shifts. Each shift has a fire officer and a firefighter on duty at all times. These personnel are responsible for driving and operating fire apparatus. 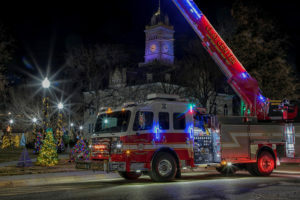 They also conduct fire inspections, maintenance of dept. vehicles, all hose and hydrant testing, and fire prevention programs. Volunteer firefighters meet bi-monthly and train 6 hours per month on a variety of topics such as fire suppression, vehicle extrication, hazardous materials, high angle rescue and confined space rescue. Fire department apparatus includes, one 2017 Rosenbauer 78ft Quint, one 1996 Central States Class A Pumper, and one 1994 Gatco Class A Pumper.